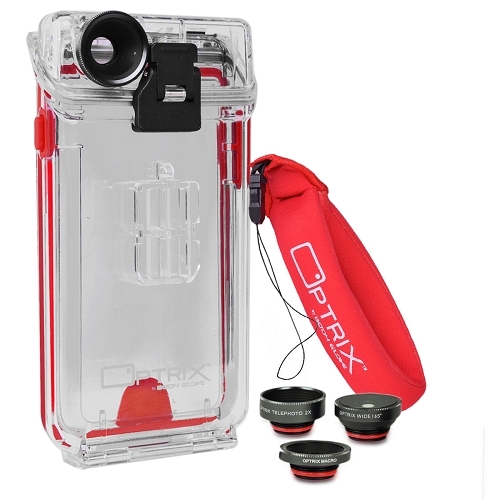 The Optrix HD sports housing turns a traditional iPhone 4, 4S or even an iPod touch in a HD action camera, so it promises at least the manufacturer of which will also equal with the mother of all action cameras, the GoPro Hero HD measures. Optrix familiar on the photo and video features of the latest Apple smartphone models (first and foremost of course the iPhone 4S with its 8 megapixel camera, improved optics and the integrated image stabilization) and has developed with the HD sport an extra sturdy and weatherproof housing. While the touch screen remains fully operation, because the screen is protected by a membrane only 0.5 mm thin. 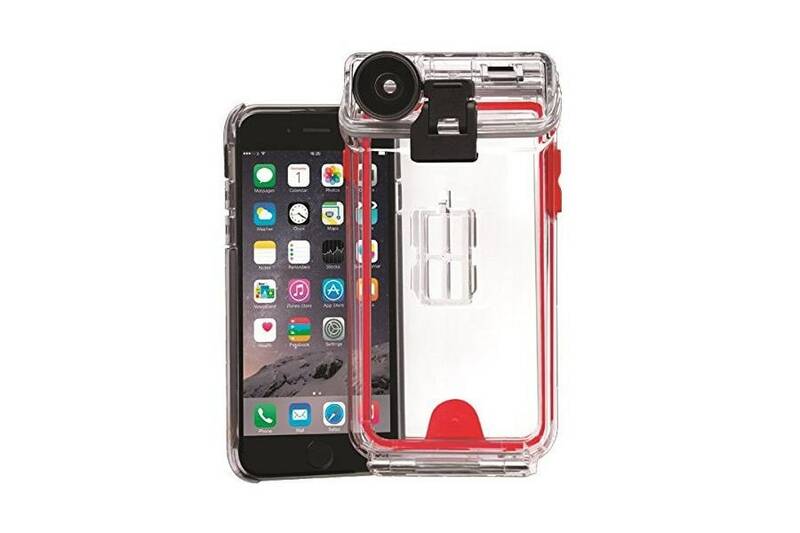 The case is not waterproof but mind you but only weatherproof, so only splash-proof (but planned is an underwater version). 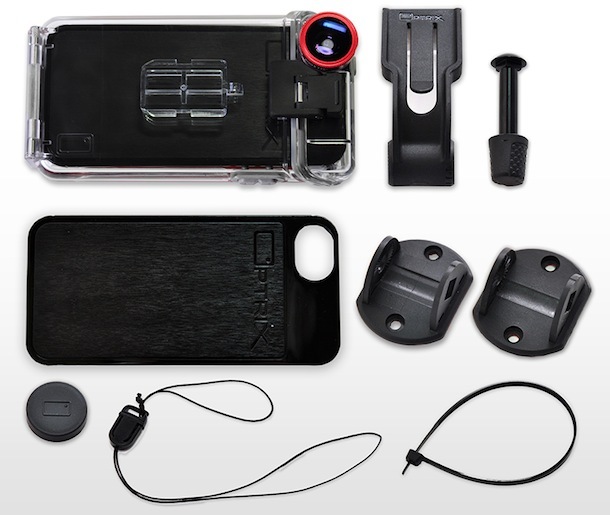 A silicone case at Themotorcyclers (the red part on the photo) prevents vibration and protects against shocks. Are currently only available via the quick release on the supplied flat or curved adhesive feet. 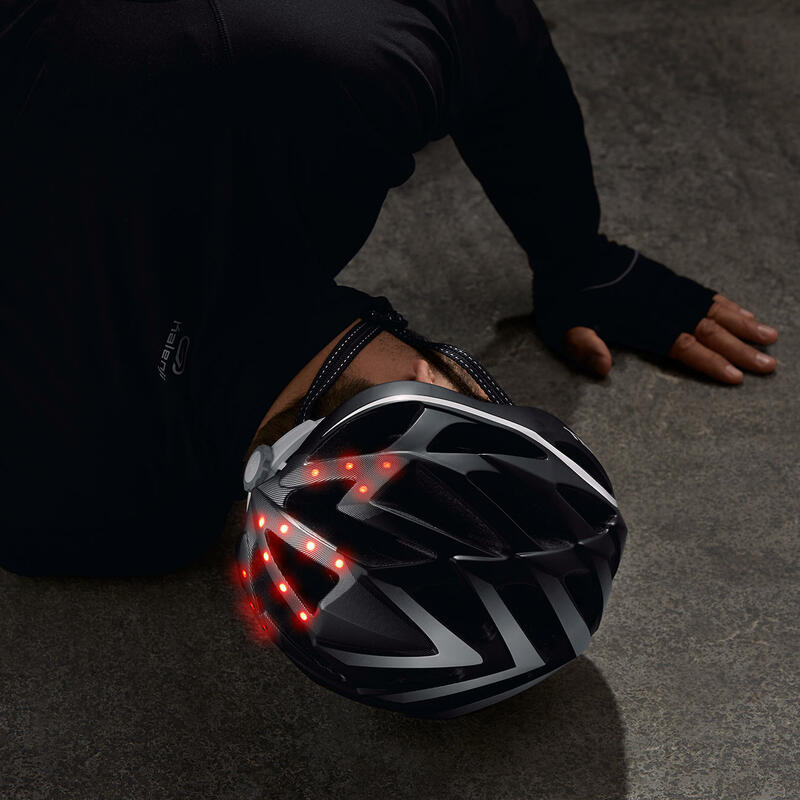 Further, soon a chest strap, as well as a mount for bicycle handlebars will be available. 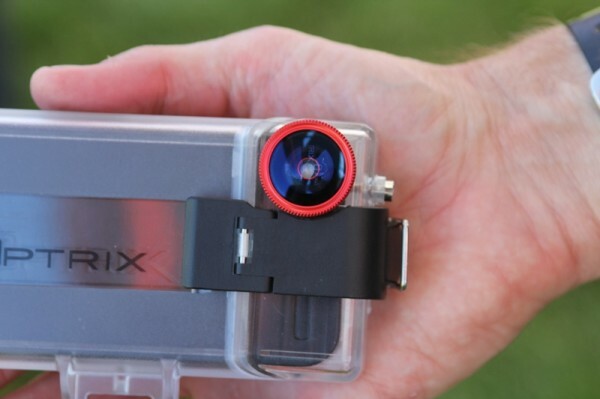 Compared with other “real” action cameras, combining Optrix pulls the short straw of course significantly housing and iPhone/iPod. 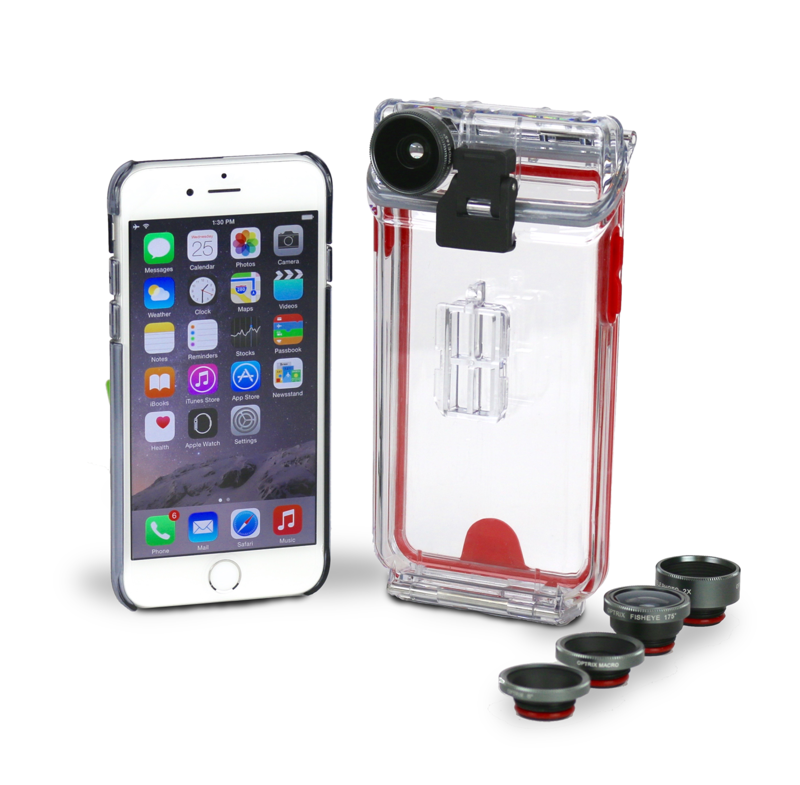 For the really tough outdoor usage (on mountain bike, on vehicles that go beyond 100 km / h, or even under water), the housing is not really suitable. Also, it’s not just cheap with just 90 USD . For this, you can soon watch his clips and may also immediately upload them on the popular video platforms and social networks. 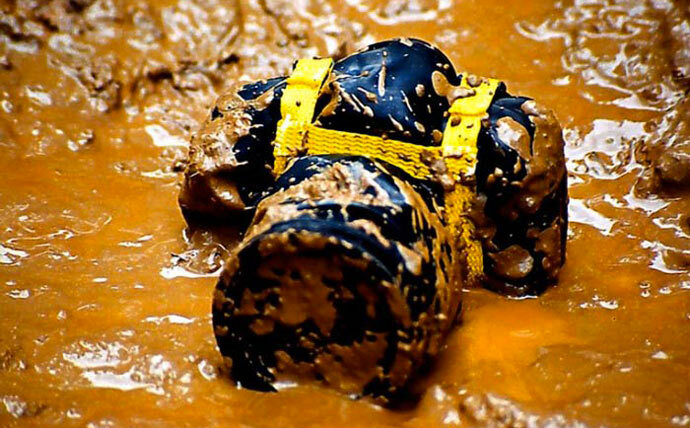 Who now dares and makes an action camera from his 600 euro expensive Smartphone? 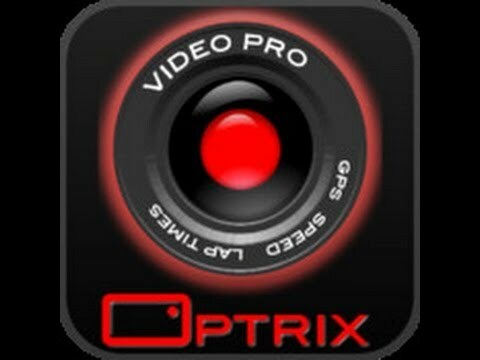 There is more information, videos, as well as ordering options on the home page of Optrix.